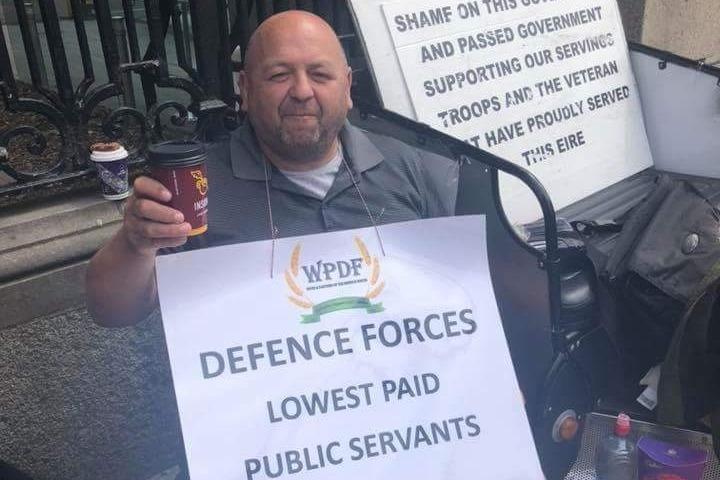 James has held a week long awareness campaign on the pay and conditions endured by the member of the Defence Forces. 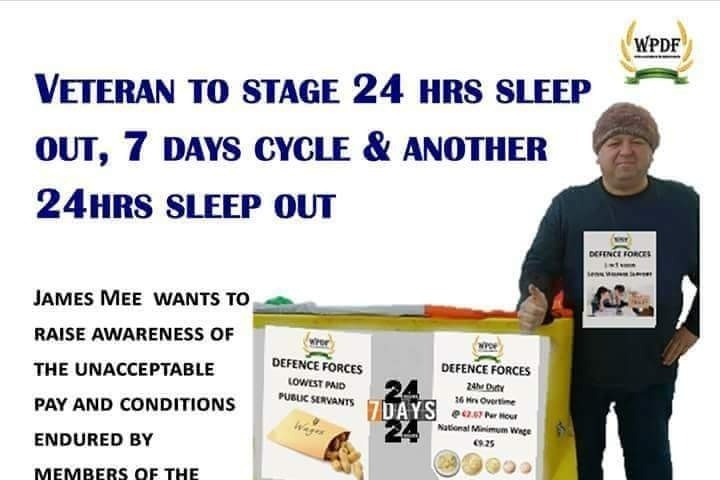 He cycled fro 7 days and is currently at the gates of Leinster house for a sleep out. He had his phone stolen today on Dame street. Less than an hour and we have €60 raised so far... thank you to those who have contributed so far.